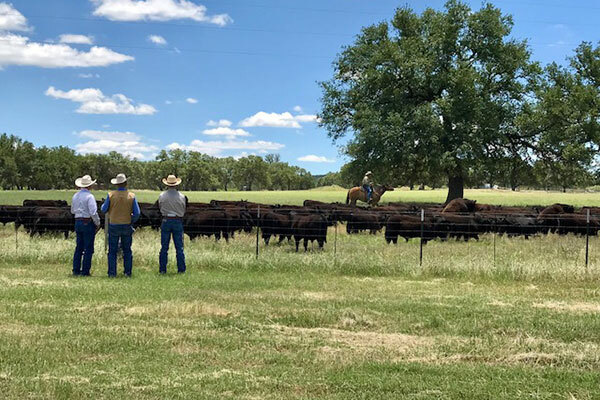 We have hosted, along with Purina Feeds, a field day at the ranch for the last several years. We try to bring in informative speakers on subjects related to running a cattle operation. Last year we had James Henderson of the Bradley 3 Ranch and Casey Worrell of Ranchers Resource as guest speakers. Jeff Prokop of Purina presents performance reports on the cattle we have weaned as well as any new information that he feels is relevant to our audience. In addition we usually give a presentation on our cattle. Our next Field Day is planned for the fall of 2018.